Everyone has one. It may not be like this but we all collect something. The image above is the spine of a book and below is the front cover. 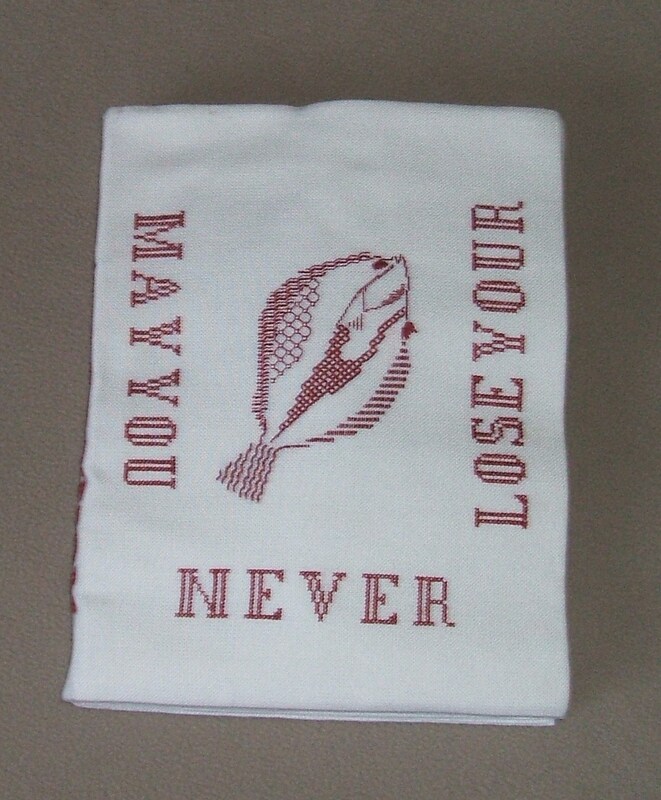 May you never lose your Plaice (Place)! Those of you who visit this blog on a regular basis will realise that I enjoy a play on words. 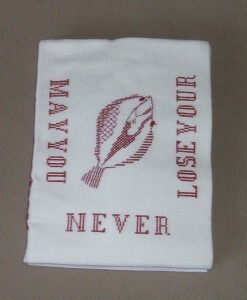 The title might give a clue to what you will find as the pages are turned. Elly; the most creative piece of handiwork I ever produced, was the inspiration for this work. She collected books. She had books before she could read. Beside her bed, in the kitchen, dining room, living room and even a bundle perched on top of the cistern in the bathroom for occasions when a long sit was part of the morning routine. Among the very early books were a couple of fabric ones with bright pictures and few words. This book is my handiwork and one of the first projects from my City & Guilds course. I mentioned it before and you saw the fruit of my later efforts in Creativity. This being the first project, I was still dipping my toes in the water. 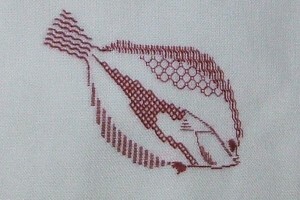 During year one, time was spent learning all the various techniques that come under the umbrella of needlework & embroidery. We learned how to work them correctly before then venturing to break the rules and introduce our own creativity. The fabric for the book was ‘evenweave’; fabric with a clearly defined mesh on which embroidery is worked by counting the threads. The warp and weft threads of true evenweave should be the same thickness or the resulting stitches will not be square. The words were worked in cross stitch and the plaice was completed in Blackwork. The book contained 10 bookmarks, each in a different technique. Would you like to see them? How about more details on the techniques involved? This entry was posted in Crafts on August 19, 2009 by Grannymar.